Using social media for events #EventProfs? Of course you are! That’s like asking whether Trump uses fake tan. Unsurprisingly, as well as organising, marketing, designing and problem solving events, #EventProfs are now meant to be social media experts aswell. No biggie. Except it is a biggie. Because anyone can do social media, but not everyone can do it well. That’s why we’ve put together some handy tips to help you take your social marketing to the next level. Room in your marketing budget to give away a few free or heavily-discounted tickets here and there? If this is the case (and it should be) it’s smart to get these into the hands of some influence-wielding advocates to help drive awareness. If your event has broad appeal, then local media might be a good shout for a ticket giveaway. If one of your speakers is a digital maven with a highly-engaged online following, ask them nicely if they would be interested in offering some free tickets to their followers, or set them up with a discount code exclusively for their audience. That way, they’ll make sure they post about you on a regular basis. Think about organisations in your area that have a decent following and build your relationships with the community manager, social media coordinator or whoever it is that’s running tweets. Cross-promotion is the name of the game, so don’t be shy about returning the favour with some shout outs to the people you’re working with on your own channels too. #EventProfs are likely to be no strangers to this brilliant website. Meetup helps groups of people with shared interests plan meetings and form offline clubs in local communities around the world. It’s also a dream for event organisers because it allows you to connect with pre-existing communities of people who might be interested in your event. Jump on this site and click on “find a meetup.” Use keywords relating to your event, like “marketing” or “cheese” and pick your city. Chances are there will be at least one group full of people that fit your audience profile. If your event is small, try reaching out to the group organiser and see if they’re willing to share news about your event with their gang. If you’re more established, you can set yourself up a sponsor profile and start offering perks to groups that pique your interest. And don’t underestimate the importance of being a presence at these events yourself – find some new contacts, and then follow up with them on Twitter or by email to remind them about your own event. Meetup.com isn’t the only place you can go to find out about useful events in your city. Eventbrite is also an excellent resource for figuring out where potential attendees are hanging out and what’s on offer to them already. Using Instagram? Given the increasingly visual nature of the social web, it’s a solid choice for sharing visual snippets around your event themes. Make yourself look like the awesome professional that you are by grabbing a couple of useful supplementary apps too. Hyperlapse is an awesome time-lapse recorder. Film a time lapse video of your venue preparations and release a teaser on your feed to get attendees really excited in the days before the event. Another app that works wonders is Snapseed, an easy-to-use photo editor that allows you to perfect any image with an easy-to-use interface. It could easily be argued that Instagram’s filters are getting a little tired now, so using some other editing tools will help you stand out. Be consistent too – stick with the theme colours and pick one visual style to make sure your feed visually represents the look and feel of your event. This one might seem ridiculously obvious, but Hashtags can make a huge difference when it comes to how many people see your posts. It’s quirky and fun to use silly speech bubble hashtags to give your audience little asides (#ThisIsAnAfterthought #ImHilarious #AnyoneGotAnyBiscuits #WeAreOffTopicNow) but if you’re short on space, like on Twitter, then stick to tags that will ensure you get seen by as wide an audience as possible. Be wary of generic hashtags like #Events or #NightsOut. They may look like they get a lot of traffic but they’re international and unlikely to get you infront of your target audience. Do some research to find out what kinds of things your potential attendees are talking about and target 3-4 relevant hashtags. For music festivals in the UK you could use #livemusic or #tourlife, both of which get heavy traffic from regular gig-goers. 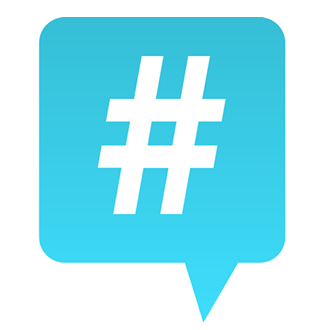 You can also use hashtags to search for relevant opportunities or partnerships too. Have a look for other #EventProfs promoting similar events and see if they want send do an exchange – you send an update about their event and vice versa. The tag #JournoRequests is also worth checking as it includes loads of requests from writers looking for people to interview. Perfect for some free publicity. 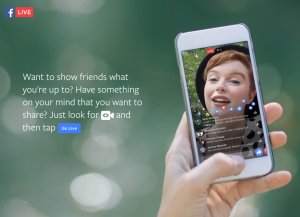 Hosting a live event that people at home would like access to? If you have any live performances or speeches at your event, consider broadcasting it live via Facebook or Periscope. Ahead of your event people will share the event page with a wider audience if they feel that everyone will benefit, and once the event has taken place and they’ve seen how awesome it ways, they’ll be twice as keen to grab a ticket for the next one. Events are social experiences, so make the lead-up to your event a social experience too. Make sure you’re following all the key players: Speakers, sponsors, suppliers and of course your attendees. If someone tweets that they’re stoked about attending your event, you should absolutely be tweeting them back and letting them know how excited you are to be seeing them soon. Don’t forget to include your event hashtag! You can use lists on Twitter or Hootsuite to organise the people you’re following into groups. A media list is a great place to start so you can give your journalists some TLC, and from there you can start to build lists of all the key players listed above. Don’t be afraid to reach out to key influencers and potential attendees either – people tend to respond faster to social media than emails. Always be fun and conversational and don’t come across as pushy, but gibing people a little nudge is no bad thing. “Sure, there’s a social networking aspect to it, but Google Plus is really Google’s version of Google,” says Dave Llorens, writing for Fastcompany. If you’re an event professional chances are you already know how to do a lot with a little. It’s an industry full of talented individuals who excel at pulling off huge, complex events with limited time and resources. An amazing timesaving tool is something called IFTTT. 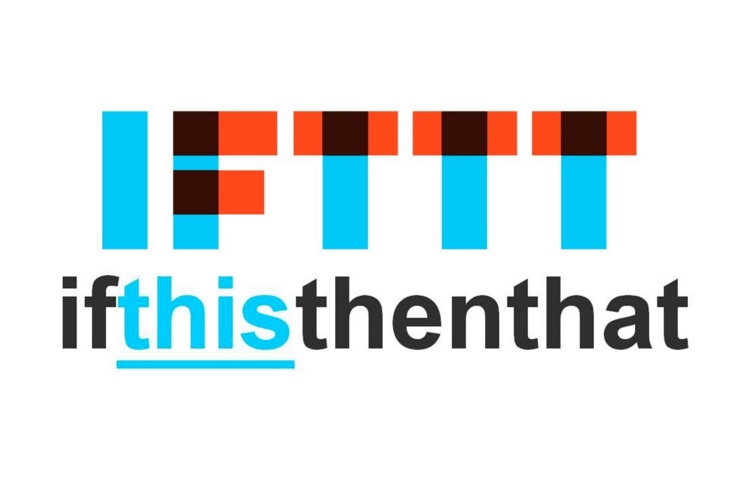 IFTTT (pronounced like “gift” without the “g.”) allows you to automate a range of digital activities by creating recipes that blend channels with triggers and actions. There are lots of recipes you can browse, or create your own. It’s a guaranteed way to save yourself loads of time, letting you focus on the important stuff – your event! 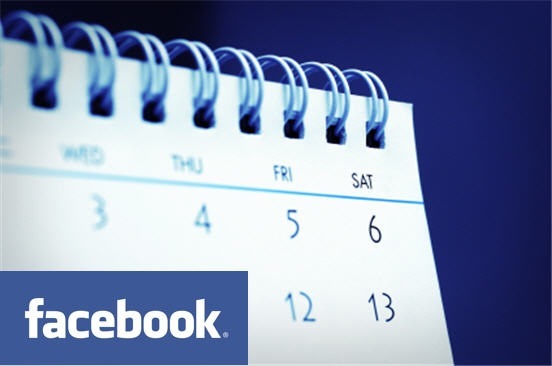 It may seem like a humble place to start, but Facebook events are still as relevant as ever. In fact, earlier this year Facebook announced the launch of a stand-alone event app that allows users to ignore the rest of the social network and focus on finding great events. They can search by things happening nearby, see what their friends are up to and schedule their diary, all from the app. You don’t have to do anything new to ensure that you appear on the app, simply create your page as usual. 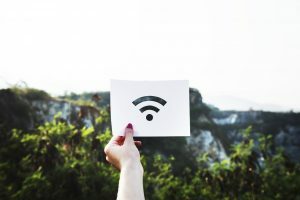 Enlist the help of co-workers, volunteers and associates to post a steady drip-feed of content hyping your event, and make sure you’re liking or responding to any comments left by potential attendees. This is also a great place to share information that people might need before the event, such as directions to the venue or reminders to download your event app. Images, thanks to the increasingly visual culture in which we live, work especially well. There are many people you can recruit to tweet, blog, reblog post, comment and so on. A good way to make sure they’re equipped to spread the word about your event is to put together a quick social media guide with some pointers on how they can help. Include key links to your website, ticket buying pages and social media properties, script some sample tweets that they can post and incentivise your team to post content on their own feeds. Your attendees will value tweets that come from supporters of your event in their network more than anything you can send yourself – think of it as a word-of-mouth referral. This will help to drive sales and bring in more revenue. There are a bunch of applications you can use that will allow you to schedule social media content in advance. Hootsuite is a powerful social media management tool that allows you to keep an eye on all of your social media accounts from the same place. The “autoschedule” button will space out your posts, filling up your content pipeline at even intervals based on when your audience is most engaged (no 3am tweets if you have a 9-5 crowd, for example). Buffer is another tool on the market that will help out in a similar way, and it’s really simple to use. That’s it! The Noodle Live guide to social media for events. Noodle Live brings a seamless social experience to events, conferences and exhibitions using a combination of mobile applications and RFID (Radio Frequency Identification) swipe cards to streamline information sharing. Fancy finding out more? We love a good chat, feel free to contact us and we’ll can arrange a visit to Noodle Towers for some tea and tech talk.